If you’re thinking that an RV is a great way to enjoy StressLess Camping I couldn’t agree with you more. While having another vehicle can be a bit of work, generally an RV is a giant invitation to go somewhere special sitting there waiting for you. I know having a travel trailer has been a strong encouragement for Peggy and I to go out and see the country and I believe we’ve done more of that since getting Curby. And what better way to get an idea of what’s out there than by going to a huge RV show? 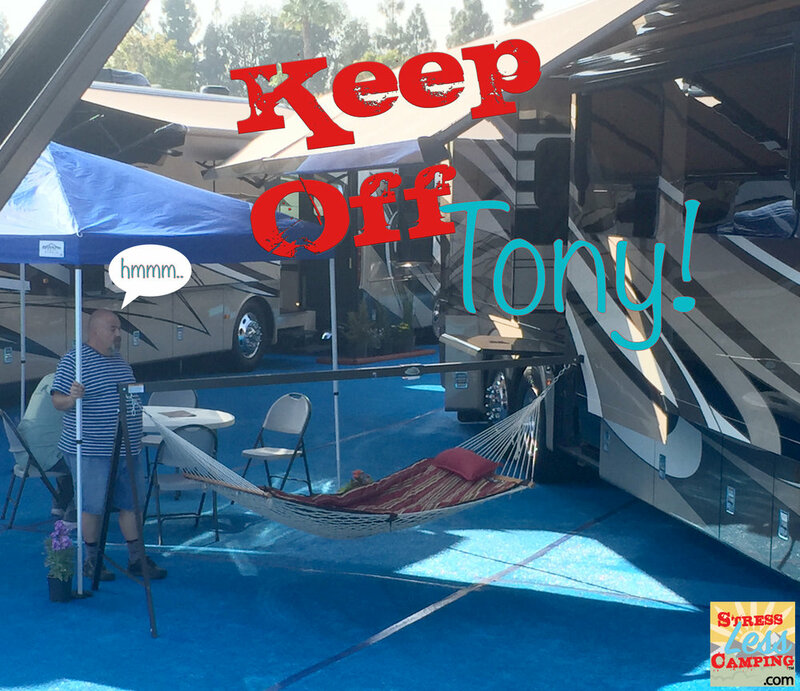 We did just that this past week as we attended the California RV Show in Pomona. 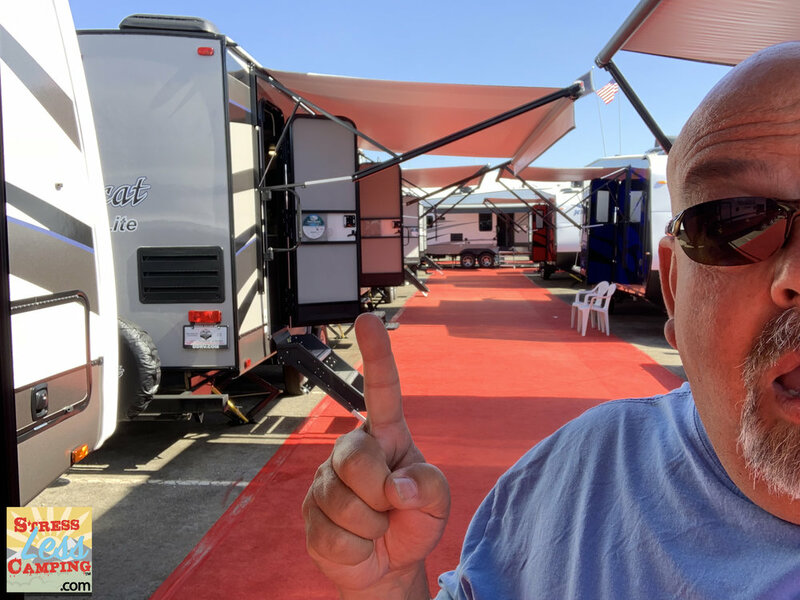 Held at the Fairplex in Pomona, this gigantic display of just about every type of RV you can imagine was one way to experience this kind of travel tool first-hand. With just about every make and model available on display there was truly something for every taste in RVs - from Jeep-top foldable tents to gigantic diesel-powered homes on wheels. When it comes to choosing an RV there are almost no wrong answers because there’s truly something for everyone. 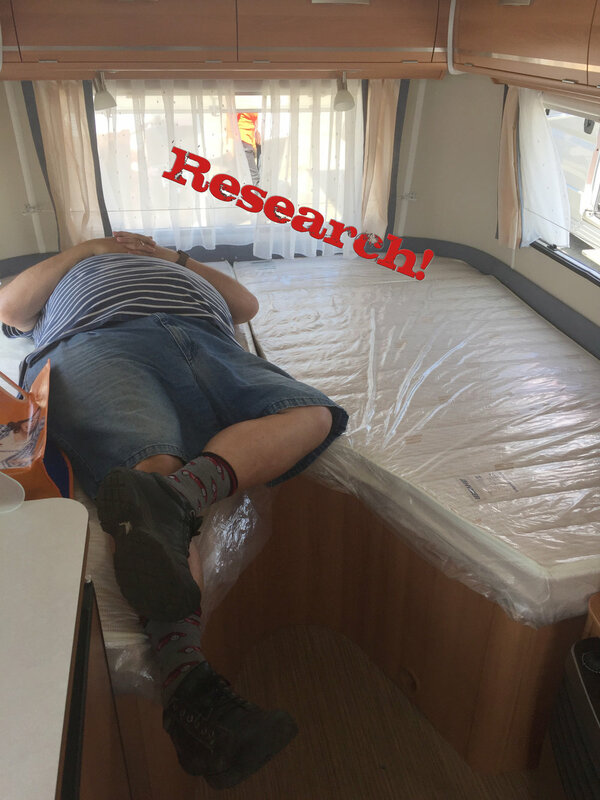 If you’re living full-time on the road many choose large motorhomes or fifth wheels only because these tend to offer the most space, but we’ve recently listened to podcasts about people living full-time in small travel trailers, converted mini school buses and even a Toyota 4Runner! If you’re not already familiar with what you want, an RV show also offers a good chance to see the variety of styles available. For example, you might be surprised by how much you can tow with today’s lighter travel trailers. Your existing vehicle could be sufficient to turn your vacation vision into a reality. If towing isn’t your thing there are motorhomes of all sizes as well. If towing is your thing and you already have your tow vehicle, you should become familiar with its towing capability. For example, depending on the axle ratio, engine size, transmission and so many other factors you can configure some half-ton trucks to tow well over 10,000 lbs. But there are other half-ton trucks of the same variety that tow far less. So knowing your tow vehicle will give you a solid foundation on which to make a decision. And while on the subject of half-ton trucks I was really impressed by Winnebago’s new line of truly half-ton towable Micro Minnie fifth wheels. While many see fifth wheels as huge behemoths, Winnebago has a line of new smaller fifth wheels that are also narrower than traditional sized 5ers and can be towed by just about any half-ton truck. Most RVs are about 8’ wide but these new Winnebagos are just 7’ wide making them slightly more aerodynamic and considerably lighter at about 6,000lbs. Nice and a real game changer in the fifth wheel category. I also like that you can get the exteriors in colors other than white and beige. On the subject of color, I noticed that many RV manufacturers are foregoing the industry-standard brown interiors in favor of lighter colors, many even using very light colored woods for the cabinets. I think Winnebago kicked this off with their Micro Minnie line but I think Keystone’s Bullet brand has taken this and done the best job with it. The interiors of the new Bullet line are really appealing to me with very light-colored solid wood cabinetry and then darker upholstery for the furniture. Combined with the new ceilings and flooring, I was impressed by how open and airy the Bullet line is and they are also a collection of RVs that really are easily towed. Something I hadn’t ever considered before was toy haulers. I really thought those were only for the people who had side-by-sides and Harleys and I wasn’t a member of either of those groups. Speaking with Brad Johnson of Shockwave; however, changed my mind. As he, Peggy and I sat inside a 21’ Shockwave T21RQMX trailer we were able to hold a conversation with him on one side of the coach and Peggy and I on the other. With the ramp in a horizontal position as a back patio there was a wonderful breeze blowing in and we could have all sat out there as well. He pointed out how we could all be there inside the toy hauler sharing our camp stories and perhaps a meal or drink. It was a great gathering point even in this shorter toy hauler and this configuration also carries a tremendous amount of water and has huge holding tanks. A toy hauler does make a good choice even if the only toys you have are maybe a couple of bicycles or a kayak. “You go somewhere to spend time outside - what better way to do that than with the entire back of the RV opening up to the outside world?” Noted Brad. Hey, he’s right. A huge back door trumps even the largest of windows. The point of this is to think outside the traditional way of thinking. For example, a bunk house might make perfect sense for a couple just because you can take out the bunk mattresses and use that space for storage. A toy hauler is one of the better family-friendly travel trailers because it offers larger sleeping accommodations for the kids and is a good gathering place that’s extremely durable. As usual, I’m a huge fan of the Flagstaff/Rockwood twins and they’ve really stepped up their game with the new smaller ePro/GeoPro mini trailers. These are ideal for those who might be towing with a smaller vehicle and carry a far lower price point than some of the odd teardrop brands out there. In particular they offer a 16’ toy hauler model that would be great for bicycles or kayaks yet can be towed with just about any SUV on the market. I have been hearing a lot of noise about the Grand Design line lately so I stepped over to check them out and I can see why people like them, but I was disappointed in some of the features. For example they use a cheaper window, air conditioner and several other things than the Flagstaff/Rockwood line so I still like the Forest River trailers the best in the light weight category. Nope, they’re not the cheapest but the features make them well worth the money to me but maybe that’s why I bought one myself. For anyone not familiar with the dizzying array of brands and models in the RV business it might take a very long time to settle down on a decision as to which RV to buy. 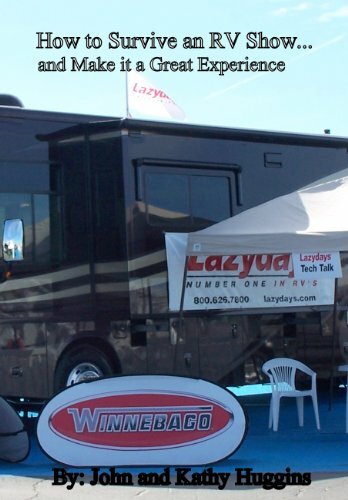 You can start at one of these RV shows and see which configuration you like best. I’m always surprised when I see the same floor plan from different manufacturers and see how differently they interpret the same concept so don’t rule out a type of floor plan if you’ve only seen how one company does it. Once you’ve decided which kind of RV you want then the next thing is to see all the different ways manufacturers interpret that configuration and that’s another place the RV show is helpful. 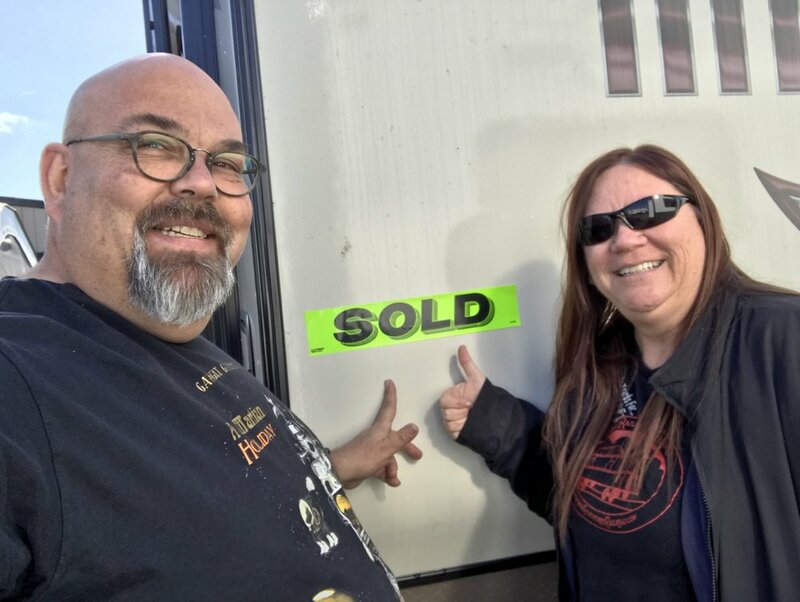 I have often told the story of my wife and I looking at well over 100 RVs before finally deciding on a brand and then a floor plan. In our case we made the mistake of not being more careful about which dealer we chose and, now that I work in the business, I see how differently each dealer handles their after-sale support. So that’s a factor as well. You may already know that I own a Rockwood Mini Lite 1905 that we pull with a Nissan Frontier and this is a great combination that suits my wife and I very well. It’s small enough to be very nimble and is always in our driveway at the ready should we want to hook up and go. One of the things I noticed about the RV show was just how many salespeople there were at the show. No matter which RV brand we visited there was always someone right on our heels, many of whom were absolute RV rookies hired just for the show. This was the part I liked least about the show and I thought it was funny when one of the guys was so persistent in wanting me to buy an RV on the spot, saying he could get me a great deal. Don’t let these guys annoy you and have a great time at an RV show. Bring a camera and a way to take notes and, if possible, plan to spend more than one day at the show, particularly if you are relatively unsure of what you’re going to end up with. You can even buy John and Kathy Huggins’ guide to surviving an RV show for under a buck - there is some great advice there.